At major events in life, I have consulted the I Ching for understanding and guidance. When we woke at The Friendship Hotel in Beijing, where we were living on the morning of June 4, 1989 and walked into the street, we quickly realized seeing no one there and several burnt-out vans that something had happened on Tienanmen Square, which we had just visited the day before. After visiting the empty Square later in the week and crossing where Tank Man stood, I asked the I Ching about what had happened. I read the response about a space like in a dead-end canyon being closed off on three sides, leaving one end open for escape. When the news came out, we learned that the Chinese Army had surround the Square on the east, north, and west sides allowing blooded students to escape to the south. 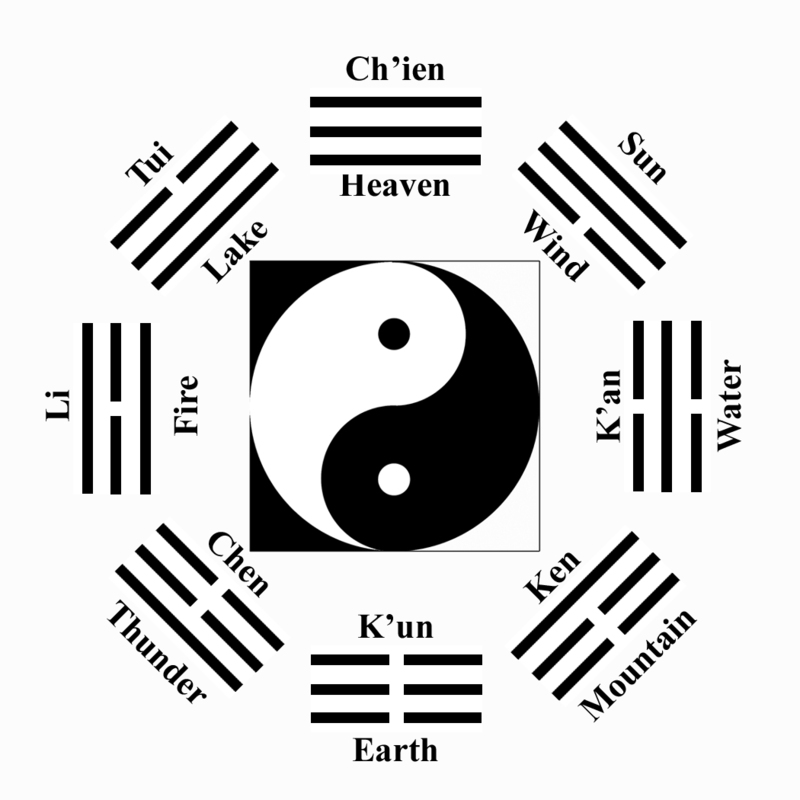 Here are a few personal previous experience using the I Ching: The I Ching Speaks to the World on September 11: A New Ethic; I Ching on Trump; The I Ching on President Obama Forward. The I Ching’s responses have been meaningful and in the above Blog post on 9/11 I describe three concepts underlying the I Ching, describe its response to three question asked in the year following 9/11, and finally address the implications of this ancient Chinese Book to our Western Way – in particular, to President Bush’s responses to the event. 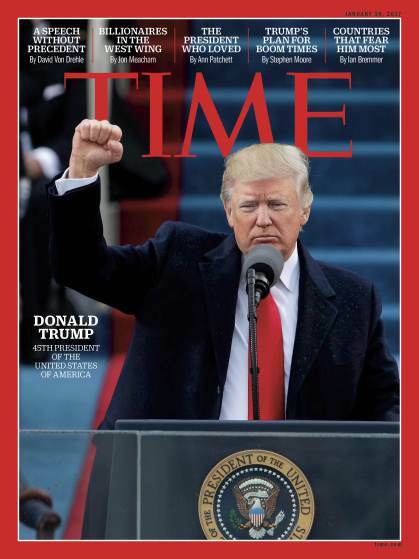 Now on January 20, 2017 shortly after Trump was sworn in as the 45th U.S. President, I put my copy of the I Ching on the table, my three Chinese coins on top of the book, folded my hands around the coins and book, and mediated for awhile about this question: What of Donald J Trump’s Presidency? I held the three Chinese coins with this question in mind and tossed them six times to generate one of the 64 possible hexagram responses. The I Ching’s answer was Hexagram 45 Tsui/Gathering Together [Massing], with a changing third line resulting in hexagram 31 Hsien/Influence (Wooing). As we read Hexagram 45, reflect and note how it might be speaking about Trump’s Presidency. The Six in the third place is especially important to read and when this weak line changes to strong line it gives us Hexagram 31 Hsien/Influence(Wooing) for further insight about the future. President Trump’s reading of this Hexagram would give the most in-depth reading. My COMMENTARY is below. In the latter, water is over the earth; here a lake is over the earth. But since the lake is a place where water collects, the idea of gathering together is even more strongly expressed here than in the other hexagram. The same idea also arises from the fact that in the present case it is two strong lines (the fourth and the fifth) that bring about the gather together, whereas in the former case one strong line (the fifth) stands in the midst of weak lines. The gathering together of people in large communities is either a natural occurrence, as in the case of the family, or an artificial one, as in the case of the state. The family gathers about the father as its head. The perpetuation of this gathering in groups is achieved through the sacrifice to the ancestors, at which the whole clan is gathered together. Through the collective piety of the living members of the family, the ancestors become so integrated in the spiritual life of the family that it cannot be dispersed or dissolved. Where men are to be gathered together, religious forces are needed. But there must also be a human leader to serve as the center of the group. In order to be able to bring others together, this leader must first of all be collected within himself. Only collective moral force can unite the world. Such great times of unification will leave great achievements behind them. This is the significance of the great offerings that are made. In the secular sphere likewise there is no need of great deeds in the time of GATHERING TOGETHER. The persons with the most insight into this response is President Trump and those in his inner circle. So, like sending President GW Bush the I Ching’s response to the questions on 9/11, I have sent this to President Trump. However, we can also read this response to gain some insight in what is and will be unfolding in Trump’s World and in our worlds. I suggest anyone reading through this hexagram let the sentences of each sections sink-in, pausing for a moment to reflect, if moved taking notes and posting a response. After the Introduction, we have three section to comment on: THE JUDGMENT, THE IMAGE, and THE LINES. THE LINES of a six in the third place is a changing line requiring close attention and for giving us Hexagram 31 Hsien/Influence(Wooing) for further insight about the future. I have also linked Time Magazine issues covering Trump that offers content on this response. What I hope will be experienced is the yin & yang flow of reality now being described as Chaos Theory. The Judgment points to an important challenge facing Trump! In the gathering together, as in the case of his family business, it is a “natural occurrence” with Trump’s family naturally gathering around him as “the father at its head”. The success of such gathering is achieved “through sacrifice to the ancestors,” at which the Trump clan gathers together to pay collective piety – the Trump ancestors have become “so integrated into the spiritual life of the family that it cannot be dispersed or dissolved.” This is the inner most psychological make of Trump’s family business and he is attempting to transfer this into his new White House state business. The Judgment clearly contrasts this with the “artificial gathering together” that should occur in the gathering required in Trumps White House. The “art of the deal strategy” carried out with vastly different organizational structures and cultures is part of the chaos we are witnessing. The Judgment suggests the task of “gathering together” with Trump’s mind-set is not impossible but it requires a “leader to server as the center of the group.” The type of leader needed to bring the United States together is more than a transactional leader, which Trump is now being labeled – it requires a transformational leader. And then we are told what is the essence of such a leader – “this leader must first of all be collected within himself”. The collected leader is self-actualizing (Maslow) an individuating (Jung) person. This Judgment then lays it all on the table, “Only collective moral force can unite the world. Such great times of unification will leave great achievements behind them.” In Trump’s gathering together there is a need for great leadership – the World indeed is watching! A challenge for psychologists is observing, measuring, and tracking Trump’s self-awareness, his individuation. Trump’s success hinge on his individuation! THE IMAGE addresses the lake over the earth and what the level of the lake is doing during the Gathering Together. If the water rises and breaks-through there is danger to all, “thus the superior man renews his weapons” and takes precautions to prevent adverse things from happening. This image cautions Trump to dangers arising from other counties like Iran, North Korea, Russia, China challenging US’s leadership. Scholars already now identify the 21st Century to be China’s. The image also cautions about the possible dangers arising from within Trump’s team now being gathered together. The Image say that Trump must “arm promptly to ward off the unexpected.” It is apparent now that both external and internal players now see a wounded Trump. His team is struggling to take the field and calling the Press the Enemy is worrying! THE LINES: There are six lines in this hexagram and the six in the third place is active, needs our attention, and when it shifts from a yin to a yang line the resulting Hexagram 31 adds more insight into our question. Here is a six in the third place and lets re-read it to see what is being said with respect to our question on Trump’s Presidency. As I write this on 2.20.17, President’s Day, there are many “sighs” in the World. Courts have challenged one of Trump’s Executive Orders, top positions are not filled, one team member has been fired, another decided not to join his team, and Trump’s first news conference last week was for many disappointing! Trump’s team is working through the phases of team development and a key is the “in-formal leader”, who is a team member closest to representing the group’s norms. What we learn from line six is that the team around Trump has formed with Trump on the outside looking in – which is “untenable”. The task facing Trump, we are told, is to ally himself with someone standing “nearer to the center of the group that can help him gain admission to the closed circle.” This move is not a mistake, it simply has to be done, even though Trump’s position as “an outsider is somewhat humiliating”. It seems the challenge here is for Trump’s White House to understand the dynamics in the House and the Senate in carrying out the duties of President. Is Trump mentally capable of doing this? Many are now questioning his sanity. We could continue digging into the dynamics of Trump’s team building efforts, but we only need to follow the news to see how this unfolds. This does not require deep-analytical analysis, like is needed to explore Trump’s personality, in order to see if he is capable of transformation leadership. What caught my attention in line six was its mention of “slight humiliation” on the part of Trump. Trump having to ally himself with someone with a more central position will be somewhat humiliating? I wondered “what is the psychology underlying humiliation? How can Trump not feel humiliated by his behavior? What does it mean to feel humiliated perked my continuing study of what is going on in Trump’s psyche. Here is Wikipedia’s entry on humiliation. How does it apply to Trump and to the US? Humiliation is the abasement of pride, which creates mortification or leads to a state of being humbled or reduced to lowliness or submission. It is an emotion felt by a person whose social status has just decreased. It can be brought about through intimidation, physical or mental mistreatment or trickery, or by embarrassment if a person is revealed to have committed a socially or legally unacceptable act. Whereas humility can be sought alone as a means to de-emphasize the ego, humiliation must involve other person(s), though not necessarily directly or willingly. Sometimes humiliation is a by-product of institutional prejudices, as when racism, sexism, or ageism, or is built right into the structure of our laws, or is part of the unquestioned practices of a workplace. Psychological effects: A person who suffers from severe humiliation could cause major depressions, suicidal states, and severe anxiety states such as post-traumatic stress disorder. The loss of status, like losing a job or being labeled (either wrongly or correctly) as a sexual predator, could cause people inability to behave normally in their communities. Humiliated individuals could be provoked and crave for revenge, and some people could feel worthless, hopeless and helpless, losing sense of reality and may eventually commit suicide. Punishments and interrogation tactics: Humiliating of one person by another (the humiliator) is often used as a way of asserting power over them, and is a common form of oppression or abuse used in a police, military, or prison context during legal interrogations or illegal torture sessions. Many now-obsolete public punishments were deliberately designed to be humiliating, e.g. tarring and feathering lawbreakers, pillory, “mark of shame” (stigma) as a means of “making an example” of a person and presenting a deterrent to others. Some practices, such as tarring and feathering, became tools of unofficial mob justice. In folk customs such as the English skimmington rides and rough music (and their continental equivalents, such as the French Charivari), dramatic public demonstrations of moral disapproval were enacted to humiliate transgressors and drive them out of the community. It seems that the Press now see humiliation as a tool to address Trump’s lack of truthfulness. Last week’s Trump press meeting saw reporters pressing Trump on his “truth” as he walked around and away form his lies. Trump may be so one-dimensional in his thinking that humiliation has no impact. Then the possibilities of leading our Nation and the World with the most potent leadership style – transformational leadership will not be available. 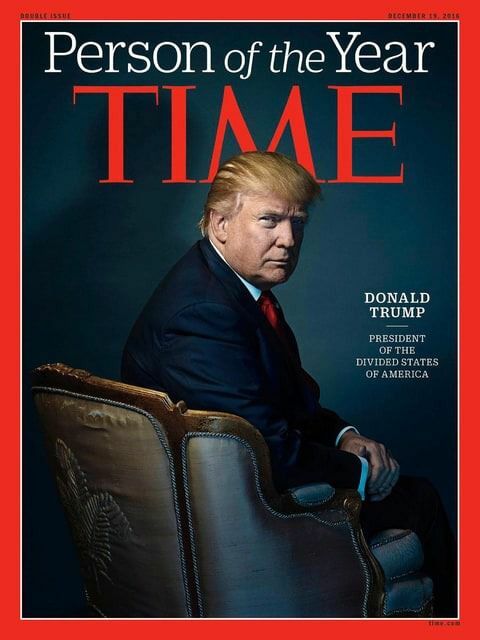 The Black Swan One Dimensional Project formally began January 20, 2017 but many of the past Blog posts have been addressing the Trump phenomenon. Campbell, Joseph, Editor, (1976). The portable Jung. New York, NY: Penguin Books. Jacobi, J. (1965). The way of individuation. New York: Harcourt, Brace & World Inc.
Neumann, Erich, (1969). Depth psychology and a new ethic. New York: G.P. Putnams Sons. Wilhelm, Helmut, (1968). The I Ching Book of Changes, 3rd Edition. Princeton, NJ: Princeton University Press.